One of the most common (and flippant) charges laid against acclaimed filmmakers is that they are too interested in ideas and concepts to leave room for human emotions. Directors from Stanley Kubrick to Christopher Nolan have had their films criticised for being heartless or clinical, or have been backhandedly complimented for producing works of distance and icy cool. Surrealist filmmakers are deemed to be especially guilty, with their obsession with dreams and psychosexual imagery forcing characters and empathy to play second fiddle. 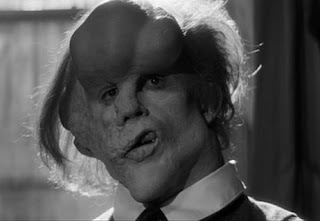 The Elephant Man is proof positive that such criticisms are total nonsense. And it is also proof that it is possible to make a film about ‘the triumph of the human spirit’ without descending to the very depths of saccharine schmaltz. While not a flawless work, The Elephant Man is a compelling exercise in biographical filmmaking, both as a character study and in its examination of social attitudes. 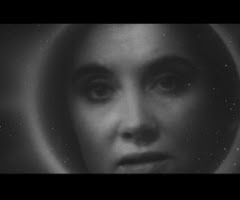 As I mentioned in my review of Ed Wood (1994), in any biopic there is a natural tension between the supposedly objective, historical record of events and the subjective sensibility of the filmmaker. A good biopic is not simply one which gets all the facts right, especially at the expense of the drama. In order for any biopic to work, there have to be clear signals from the director right from the start about their attitude to the material and the extent to which their creativity is going to intervene. 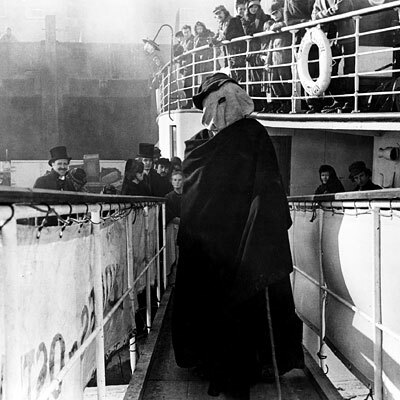 The comparison between Ed Wood and The Elephant Man is very apt, since both films depart from the accepted version of events to make deeper points about themes and social attitudes. In real life, Ed Wood never met Orson Welles in a bar, and Bela Lugosi did not curse like a sailor. It doesn’t matter. Tim Burton makes it clear that he is being affectionate towards Wood, using such creative decisions to turn an ordinary story about a struggling filmmaker into an extraordinary film about a battle between deluded creativity and an equally deluded studio system. Likewise, it doesn’t matter that Joseph/ John Merrick wasn’t ritually flogged, or that he went to Belgium before meeting Dr. Treves rather than after. 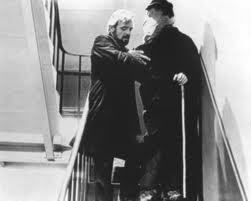 The film is not so much about the life and death of Merrick as it is about the society which shuns him. The Elephant Man is one of the most moving and honest examinations of the truism that a society mocks, denies or hides from that which it cannot understand. 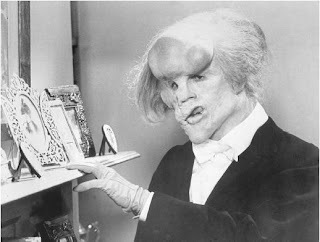 Merrick’s deformity may be biologically unique, but it is also an exaggerated means of expressing his difference, and by extension the small-minded, fickle nature of the people who come into contact with him. This small-mindedness runs throughout the social structure of Victorian society. Regardless of their proximity to him, most of the characters mistreat or spurn Merrick, despite (or perhaps even because of) claiming to understand him. Bytes calls him an “imbecile” and treats him like a possession, though he is strangely moved when he comes to Treves demanding to take him back. 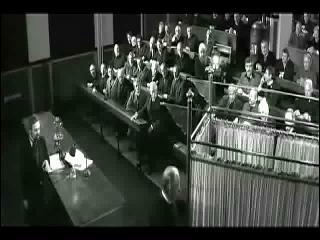 Treves starts by seeing Merrick is little more than a career opportunity, and Mr. Carr Gohm is equally aloof. It is only when Merrick demonstrates his intelligence (by reciting the whole of Psalm 23) that their attitudes and perceptions begin to change. In a lesser director’s hands, this kind of character arc could have been completely overplayed, and the remainder of the film would have been one long exercise in trying to make us cry. But what is impressive about The Elephant Man, and about Lynch’s direction, is that it manages to feel raw and emotional without ever looking like it is trying to be either. The visuals betray both the success and failure of The Elephant Man, containing many images and motifs which we now associate with Lynch. He has always been fond of the grotesque side of human existence; the freak shows and dark streets are played slower, forcing us to linger on their twisted and strange quality. But in general, the visual style is very restrained, respectful and fastidious, recalling the work of David Lean. The film is like a surrealist Great Expectations, and is beautifully lit by Freddie Francis. The film is incredibly respectful towards its subject from a visual point of view. The cloak and hood was only intended to be used for a couple of scenes; its presence was increased because Christopher Tucker struggled to complete the make-up in time. When Merrick is first revealed, it is not played for shock value, neither is it designed to make the audience deeply uneasy in the manner of Eraserhead. Moments in the film, like the opening scene of Merrick’s mother and the dream sequence involving machinery, resemble Eraserhead very closely, and it can feel like the edgier side of Lynch is trying to escape. This experience is nowhere near as jarring as it is in Dune, but it remains somewhat frustrating. Because of this fastidious quality of the visuals, and the conventions of the period, there is really very little room for mawkishness. But there is plenty of room for emotional involvement with the characters, even in scenes which seem overtly sentimental. Covering actors in lots of make-up is a risky business: the audience can spend so long glued to the prosthetics that the performance becomes little more than pantomime, as in Legend or Return of the Jedi. But John Hurt’s performance as Merrick is terrific: it feels utterly genuine from the first to last frame, and it is hard not to cry at his every triumph and tragedy. The film’s supporting cast are also very solid. 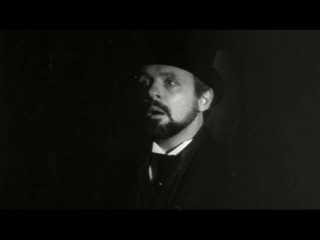 Anthony Hopkins complained in later life that he found Treves a dull character to play, but there is nothing dull about his performance. Treves begins as an opportunistic doctor looking to impress his London Hospital friends, but the experience of treating and caring for Merrick brings about a profound if gradual change in his worldview. In a key scene, he wrestles with himself as to whether keeping Merrick at the hospital has made him a circus act all over again. Much like Tom Hanks’ character in The Green Mile, Hopkins is wrestling with the idea of doing good which is simultaneously harming someone he cares about. The role of women in The Elephant Man is peripheral, with neither Treves’ wife nor Anne Bancroft’s actress being given much screen time. But this is compensated for by the recurring images of Merrick’s mother, who appears in flashbacks and in the photograph which Merrick carries. The photograph is not just a symbol of Merrick’s devotion to his mother, but an expression of his desire to be loved and accepted. This makes the final scene, in which he finishes his model and lays down to die, all the more cathartic and beautiful. The Elephant Man may not be Lynch’s finest work, being neither as artistically pure as Eraserhead nor as shockingly beautiful as Blue Velvet. But it sits close to the company of Ed Wood as a yardstick of inspirational biopics, and as a milestone of black-and-white cinema. Being one of Lynch’s most accessible films, it is also a good starting point for anyone interested in his career, and taken purely as a drama it delivers a genuine emotional punch. An all-round excellent effort from one of cinema’s greatest directors.